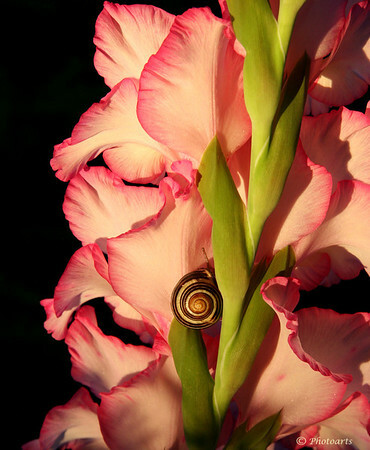 Beautiful flower and snail shot. Lighting is great. Gorgeous light & such pretty details. Beautiful flower and a strikingly coloured snail shell !! Wonderful delicate light ! Prettier than the average snail!